Renovaid Team supply and install quality Solid Core Veneer Plywood Door and Wrought Iron Gate at Factory Price. Our Factory Price Solid Core Veneer Plywood Main Door and Wrought Iron Gate @ $850 (Usual Price $1100) for measurement not exceeding 36" x 84" is definitely value for money. 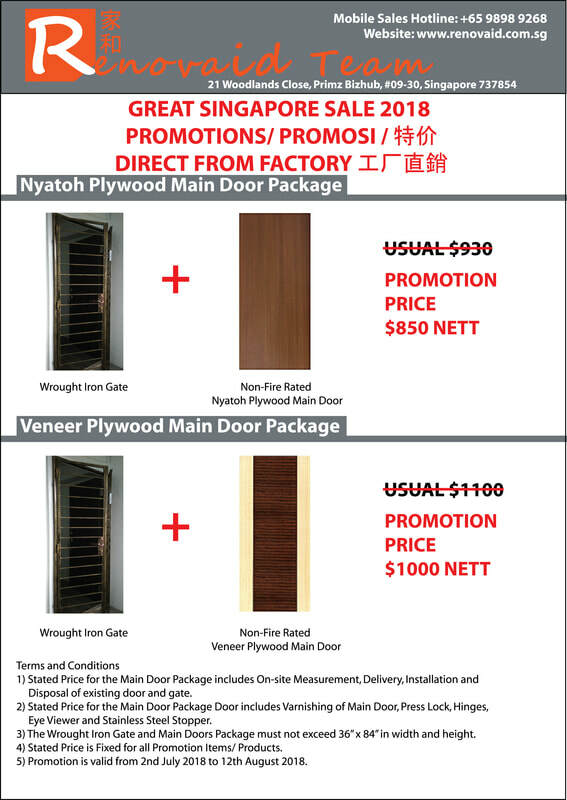 For clients who confirmed order with us through our Promotion Website, will enjoy special price of S$1000 for our Solid Core Nyatoh Plywood Main Door and Wrought Iron Gate.